Bring heavy cream to a boil and remove from heat. 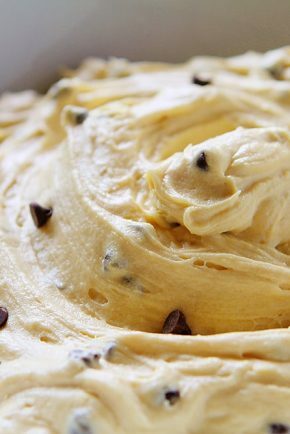 With chocolate chips in a heat safe bowl, pour cream over chips and slowly stir until all chips are melted. 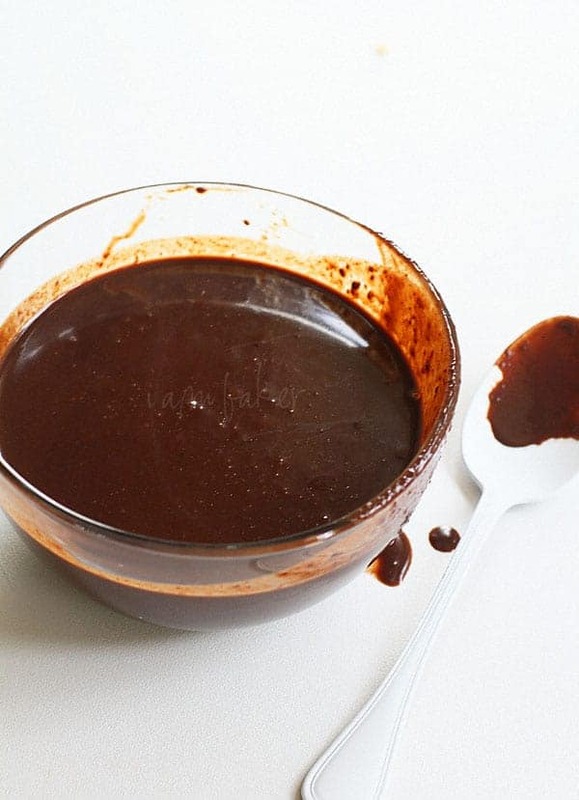 You can use ganache immediately or let sit to thicken. 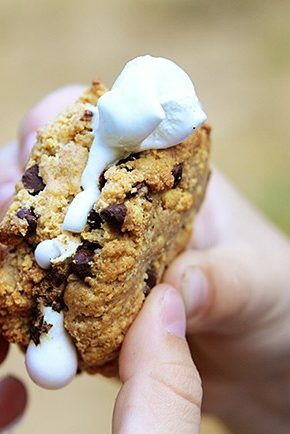 *You can use any type of chocolate with this recipe. 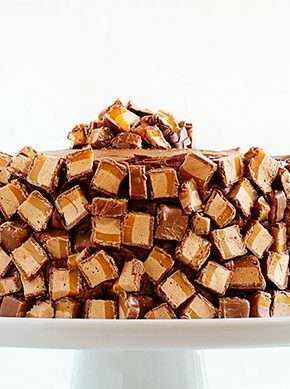 I actually wanted a much thicker consistency of this for a cake inspired by a 100 GRAND candy bar, so I made a couple easy additions. 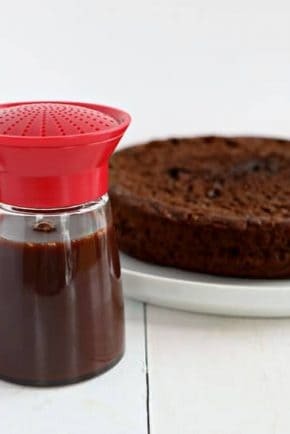 Put 1/2 to 1 cup of powder sugar in mixer and pour ganache over it. Mixer with whisk attachment. You can add as much sugar as you want to reach desired consistency, I added about 1 1/2 cups total. I then poured it over my cake! Click here to see how this cake turned out! Hi there! I”m absolutely in love with your blog! I”m an aspiring cupcake bakery owner and I’ve seen so many amazing things here on your site. You’re definitely a huge inspiration. Now on to the business at hand, I wanted to know how many cups of ganache this makes? And how many cups of ganache would I need for your beautiful Chocolate pumpkin spice cake? 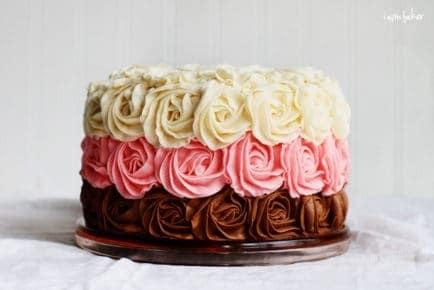 I know this is a different recipe but I”m in a bit of a rush as I”m planning out my baby shower and I was really looking forward to making that cake. 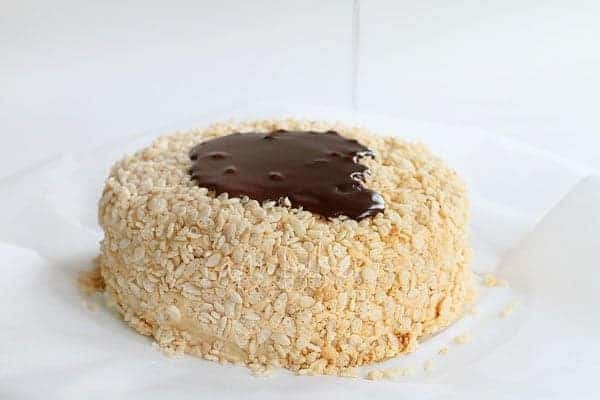 Hi Amanda, I hope your having a swell day I was wondering if I let this ganache sit out in my fridge with it get thicker so that I can whip it. 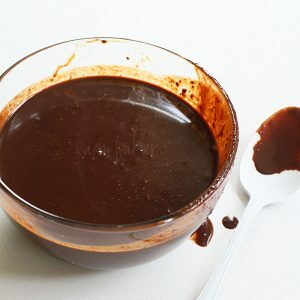 I once tried milk chocolate with a semi sweet chocolate ganache recipe it took forever to get thick and when I whipped it it got all soft and i’m guessing that’s because of the extra milk in milk chocolate. So will this recipe do that?